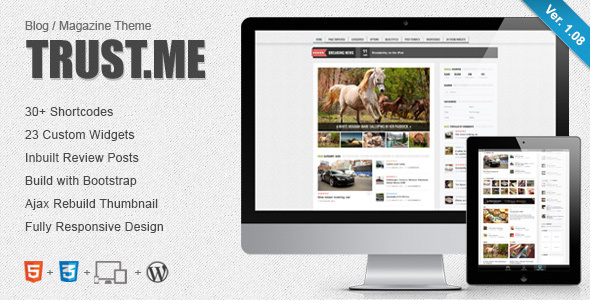 TrustMe is a Responsive Wordpress Theme, best suited for Magazines, News and Blog websites. It comes with 23 awesome widgets and 18 widget areas and 4 post formats (image, audio, video & gallery) and tons of theme options. development so it look beautiful at any size, be it a 17” laptop screen or an iPad, iPhone. Visit TrustMe Magazine on your Small Devices. iPad and iPhone TESTED! 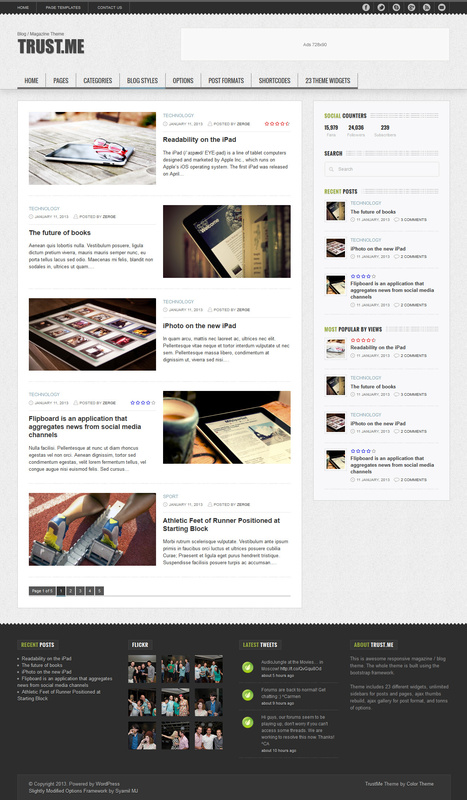 Check out how others are using the TrustMe theme. Running TrustMe and want to show off your site? Drop me a line through my profile.